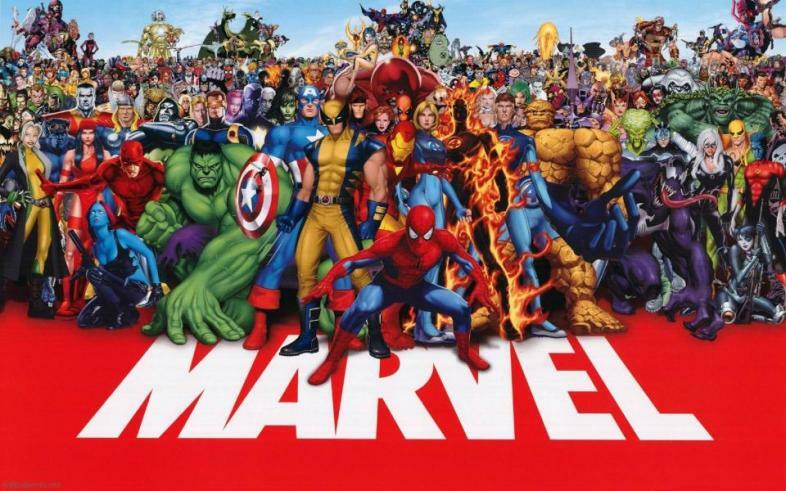 Marvel Cinematic Universe is huge, but there are many more characters that could fit into it. Marvel is dominating the box office, and has been for years, but with these movies, they could dominate it for even longer. Although we see our favourite superheroes on the big screen multiple times a year, do we see the ones we want? Here are ten Marvel superheroes that we should be seeing on the big screen. The crime-fighting lawyer has many different storylines, some of which are being used in the Netflix Original Show. Although there has already been a Daredevil movie, as well as a Netflix series, to see the newer Daredevil on the big screen would be a great treat. Whether it follows from the end of the second season, or whether it introduces The Defenders into the Marvel Cinematic Universe, it would be great to see the blind crime-fighting superhero battling it out alongside other superheroes like Ironman or Captain America. Rumours of a Gambit movie have been circling for a while now, but with it being pushed back and back due to scriptwriting issues, there are a few possible storylines for this mysterious hero. He was once a thief, which is where the story could start out, carrying on the hard-life to good-guy plot. Eventually working for the FBI, he could even begin hunting down those superheroes who refused to sign the treaty brought into Captain America: Civil War. This would give him a good-guy for the bad-guy status, which would be great to watch and could even feature a handful of off-hand superheroes like Hawkeye or Ant-Man. With the new Logan movie coming out a solo X-23 film would be just what Wolverine fans need. With the new Logan movie coming out, an R-Rated X-23 solo film would be the way to go. Being introduced to her in the last-known Wolverine movie so far, X-23 solo film could continue the slashing superhero’s legacy in a gender-bent intriguing way. The film could feature her when she is older, and more mature, finding her way into the world without resorting to violence. Of course, it all depends on where they are headed with the plot-line for Logan, so it must be a wait and see situation. This has been one that has been in high demand, and for whatever reason it hasn’t been done so far. The sassy Black Widow is one that deserves a solo film more than anyone else in the Marvel Cinematic Universe to date. One plot line which would be interesting to see on the big screen would be Hydra using a secret loved one to manipulate and black mail the Black Widow into going against her morals. This would be great, to see her in a different light, and see her without the influence of the other Avengers too. Ms Marvel begins, looking up to Captain Marvel as her idol. Ms. Marvel is one of the lesser known superheroes in the Marvel Universe, yet would fit in well when it comes to the on-screen life. Under the influence of the up and coming Captain Marvel, Ms. Marvel could come out of hiding as an Inhuman, and work alongside any superheroes in the Cinematic Universe. In the comics, she is known to be bubbly, and would work great alongside her hero to save the world. Her powers could be triggered by whatever it is that happens in Captain Marvel’s movie, giving her the link to the prior film. Spider-Woman, alongside Spiderman, would be a great addition to the Marvel Cinematic Universe. The two would work well together, after needing to find a way to co-exist both with similar powers. Although it may seem a little repetitive, having a female version of another character would give a better and more interesting insight into the types of powers there is. She could keep Peter Parker in line and the two would be hilarious on-screen together. She usually works for S.H.I.E.L.D in the comics, which gives an opportunity to bring Spiderman into the midst of Coulson’s little collection. It also gives a great opportunity for S.H.I.E.L.D to be back into the Marvel Cinematic Universe. Nova has been a must-have in the Marvel Cinematic Universe for a long time. The need for more Guardians in outerspace is strong, and Nova would be great for this addition. He could work alongside The Guardians of the Galaxy and help them defeat whomever they need to defeat. He is a little bit of an anti-hero, so having him working against The Guardians, and then needing to work alongside them to defeat Thanos would be a great storyline. He is a great character, and to see him in the Cinematic Universe would be great. It would also be great to see a Marvel movie more from the opposite side, instead of the good guys all the time. We have only ever seen the good side of the X-Men universe, and to see Cable in the cinematic world would be good fun. He is known to be like Deadpool, a little bit of an anti-hero, and Deadpool could even do a cameo, alongside Negasonic Teenage Warhead. To collaborate the two movies would be great, and create their own little universe for those who want the R-Rated X-men life. The male version of Captain Marvel could work into the Ms. Marvel and Captain Marvel movies. It could feature the two Captain Marvels working alongside each other, like the relationship between Spiderman and Spider-Woman. The two could learn how to work together, and although their names are the same, their powers would be used differently. Considering Captain Marvel, this one anyway, is sent to Earth as a spy, then banished from his home planet after he began to sympathise for us, it could be great to see the comparisons of the two on-screen. It would be interesting to have more than one gender of the same superhero working alongside each other, and besides, Ms. Marvel calling out for Captain Marvel and having both turn around at the same time would never get old. Deathlok is known to be one who is the worst-bad-guy. To have him hunt down Hydra Agents whilst working for S.H.I.E.L.D secretly, would be the best thing. It could be R-Rated, or a bit more blood and guts than the rest of the Universe, and could even feature Red Skull who teleported away at the end of Captain America’s first movie. It would be a great opportunity to bring back such an iconic bad-guy, but would be an even better excuse to bring in such a raw good-guy. Although some of these movies will be made, and some might not, it is not a bad thing to hope. These would be great additions to the Marvel Cinematic Universe, and would be even better on-screen than some that are out there now. More diversity and more characters means more influence for those who need it. Hopefully Hollywood will listen, and we will have Marvel movies like these for years, possibly decades, to come. Surprised you didn't mention Marvel's 20 Year plan! Would be interested in your thoughts as a Marvel fan on how that may or may not pan out.